Overview: Join Achilles on his quest to win back the lovely Helen of Troy from his Trojan enemies! 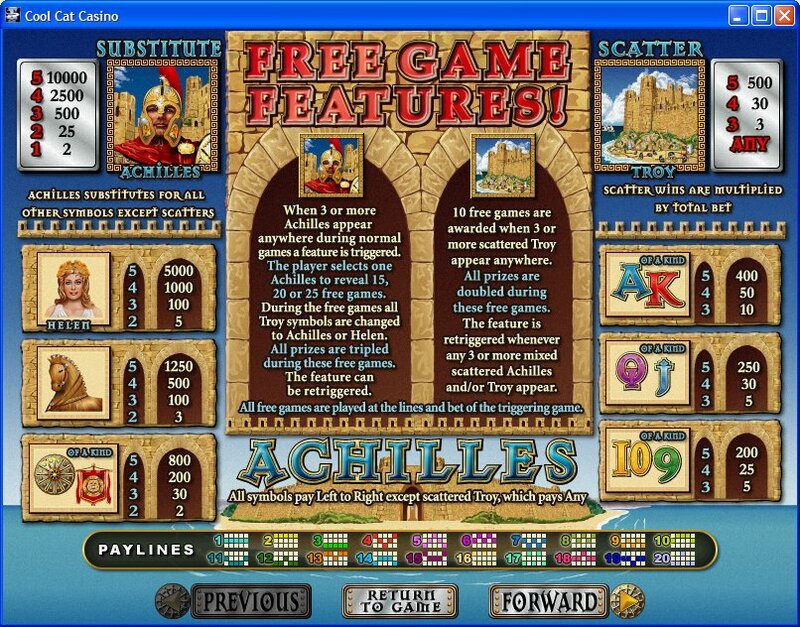 Achilles is a 20 line slot game which gives players from novice level to expert something to get excited about as bets range from one cent on up to one hundred dollars. The wild card in the games is the Achilles symbol and the City of Troy makes its appearance as the scatter symbol. Come and relive the historic war against Troy and you will be rewarded the most amazing prizes. Achilles is a thrilling five reel slot machine that is going to take you right to the battle against the Trojans to protect Helen's life and honor. 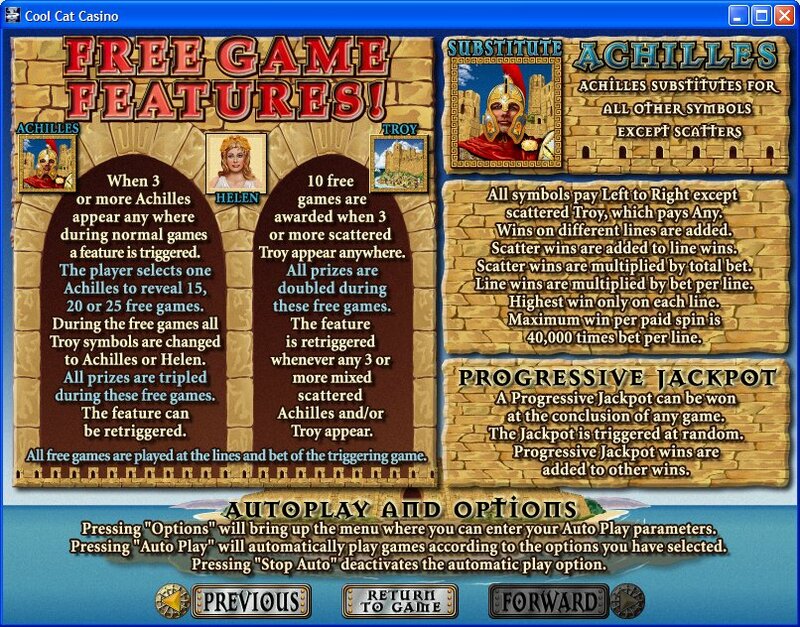 Achilles slot machine comes loaded with great payouts, lots of free games, and a huge Progressive Jackpot. 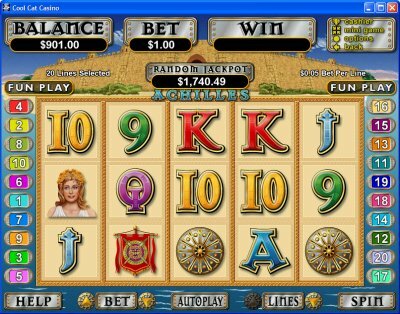 Similar Slots: If you like Achilles, you might like these other slot machines from RTG: Aztec's Treasure, Field of Green, Golden Lotus, Hairway to Heaven, Red Sands, T-Rex.